I just came across this fabulous clutch and have to share it with you right away. 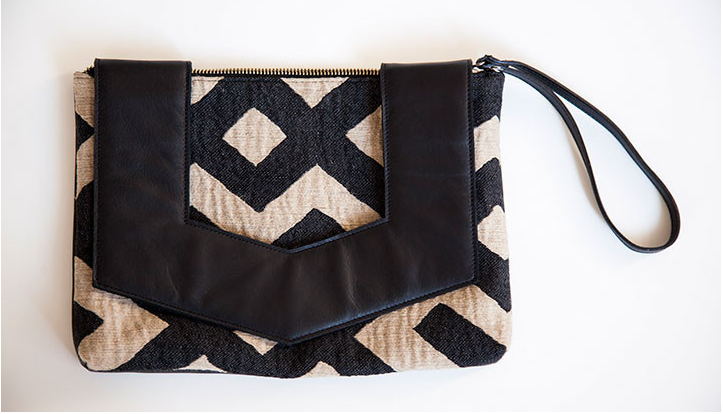 Not too big and not too small, this clutch is the perfect accessory for any stylish girl. The mix of fabric and leather makes it wearable all year long and will compliment many outfits, from your little black dress to your jeans and leather jacket. And the best part is ……. YES is made right here in the USA.